Monday, September 9 – Dr. Lori Hoagland (Department of Horticulture and Landscape Architecture), her graduate students, and staff at the Miegs Farm (one of our Purdue Ag Centers) conducted the Vegetable Crops Research Twilight Tour. There was much research to share on organic and specialty crops – and the attendees (several of them Master Gardeners) just kept asking questions! Tuesday, September 10 – The Department of Agricultural and Biological Engineering was ranked the number one undergraduate program in the U.S. by U.S. News and World Report for the third consecutive year. The graduate program has been ranked number one for five consecutive years. Congratulations to the ABE faculty, staff, and students! Wednesday, September 11 – We hosted 102 donors and 119 student scholarship recipients at our third annual College of Agriculture Scholarship Banquet. This exceptional evening gives donors the chance to connect with the student they are ‘sponsoring’. Associate Dean Marcos Fernandez and Director of Advancement Eric Putman and their teams put on a great show! The highlight for me were the comments by Purdue Food Science senior Molly McKneight, Purdue’s first-ever Truman Scholar finalist. While Molly is currently finishing up her BS in food science, she is also starting an MS program in plant breeding and genetics in the Department of Agronomy. Thursday, September 12 – President Daniels announced the $20+ million ‘Purdue Moves’ Plant Sciences investment in our College. New faculty in plant biology, lab and facility upgrades, some new space and equipment at ACRE, staff support, and support for recruiting and training leaders in the plant sciences – this is a very, very special investment in our College. For me, the opportunities this investment will enable for connecting across our College, across campus, and with external partners are most exciting. As if this weren’t enough for a Thursday, we also celebrated the $1.5 million Land O’ Lakes Chair in Food and Agribusiness (Dr. Alan Gray) with a visit and seminar by Land O’ Lakes CEO Chris Policinski. Friday, September 13 – I spent time with potential donors for the new Ag and Life Sciences Building (also known to us as the Animal Sciences Building). The university has made funds available for us to use as a matching investment, which will provide our donors with a big incentive as we put together the funding for this critical project. Also that day, I attended the Economic Club of Indiana luncheon in Indianapolis, where President Daniels talked about Purdue Moves to about a thousand business leaders from our state. It was great to hear our College and the Purdue Moves Plant Sciences investment highlighted with this group of business leaders. Saturday, September 14 – We hosted donors and prospective donors on campus for the Notre Dame game…and it was a game! Monday, September 16 – Dr. Cale Bigelow (Agronomy), the 2013 Kohls Outstanding Teaching Award winner, gave an excellent presentation on reaching today’s students inside (and outside) the classroom. Cale’s presentation was an inspiring reminder of just how important and fundamental our teaching mission is, and it was a call for us to dig more deeply into what it means to be a great teacher, given changes in our students and changes in technology. The people of Purdue Agriculture do some amazing things with amazing regularity. Teaching, Research, Extension—or Learning, Discovery, Engagement (your choice)—all the elements of our land-grant mission were on display over the last seven days. For me, last week also highlighted a few of the important questions and opportunities we have in front of us. How do we effectively serve the clientele represented by Lori’s audience at the Meigs Farm? What else can we do to help make a Purdue Agriculture education both impactful and more affordable for our students? How can we work with industry and donors to make sure our faculty, staff and students have the resources they need to realize their full potential here? And, very importantly, how do we fully leverage the University investment in the plant sciences to put Purdue Agriculture on a different plane in this important area? I’m looking forward to working with each of you to find innovative answers to these, and other, important questions about our future. Thanks to all of you for an inspiring week! The Graduate Research Spotlight highlights graduate students and their work. This month’s spotlight is on Kacie Ho, Food Science; advisor Fernanda San Martin. Dean Jay Akridge announced recently that Associate Dean Karen Plaut has taken on new responsibilities, effective September 1. In addition to her current leadership of research programs in agriculture, food and natural resources including the Purdue Agricultural Centers, research farms, campus-based research facilities, and a number of research centers, she now has duties in the broad area of faculty affairs. She will take the lead in managing our faculty hiring process. (Dean Akridge will continue to support the recruiting process, along with taking the lead on any full professor/chair level positions.) Dr. Plaut will also take the lead in addressing dual career issues, the faculty mentoring program, faculty and staff development programs, and civil rights training. To reflect these new responsibilities, her title has been changed to Senior Associate Dean for Research and Faculty Affairs. Our thanks and congratulations to Karen for taking on these new responsibilities! Konstantina “Nadia” Gkritza has joined the ABE department with a split appointment as Associate Professor of Civil Engineering and ABE. She earned her Diploma CE from the National Technical University of Athens, Greece; the MSCE from Virginia Polytechnic Institute and State University; and the PhD from Purdue. She came to Purdue from the University of Iowa, where she was an assistant professor, associate director of the Mid-American Transportation Center, Region 7 University Transportation Center, and director of the Sustainable Transportation Systems Program in the Institute for Transportation. Charlie Arnot, CEO of the Center for Food Integrity and founder and president of CMA, will visit Purdue Agriculture on October 9 and 10 as our guest in the Learning from Leaders program. In addition to meetings with faculty and students, Mr. Arnot will present two seminars: “Ethics, Values and Science—Finding Balance to Build Trust in Our Food System” on October 9 at 6:00 p.m., and “Culture Clash: Why We Hate ‘Big Food’ and What We Need from Today’s Food System” on October 10 at 3:00 p.m. Both talks will be in the Pfendler Hall Deans Auditorium. Fred Whitford, coordinator of Purdue Extension’s Pesticide Program, is also an agriculture historian. He has written several books about the history of Indiana agriculture, including biographies of William Latta and Virginia Claypool Meredith, all published by Purdue University Press. His latest work, released September 15, is For the Good of the Farmer: A Biography of John Harrison Skinner, Dean of Purdue Agriculture. Skinner was a pioneering educator and administrator who served as the School of Agriculture’s first dean and transformed the study of agriculture at Purdue University under his leadership during the first decades of the twentieth century. Andrea Burniske has joined the staff of International Programs in Agriculture as International Extension Program Coordinator. Before joining Purdue Agriculture, she was director of the Save the Children GIRL Project, where she led organizational capacity and learning on gender integration. Before that, she was manager of programs in Colombia for Mercy Corps. Altogether, Andrea has more than 17 years of experience designing, writing and implementing international programs overseas. Felix Arnold, Assistant Director for Transformational Education and Academic Success (replacing Tim Kerr, who succeeded Al Goecker as Senior Assistant Director of Academic Programs). Felix will coordinate, promote, manage, and evaluate Transformational/Co-Curricular Educational Programs including the Leadership Development Certificate Program and the new “Issues 360” initiative, as well as coordinate, manage and provide leadership in Honors and Deans Scholars Programs. Amy Jones, Plant Sciences Recruitment & Outreach Coordinator (new position). Amy’s charge is to highlight the importance and opportunities within the plant sciences to students and teachers in order to increase the number of applicants and enrolled students in the degree programs in the Departments of Horticulture and Landscape Architecture, Botany and Plant Pathology, Agronomy, and Entomology. Sherrelyn Meyer, Assistant Director for Career Services and Scholarships Coordination (replacing Lori Pence Barber, who moved to a position in the College of Engineering). Sherre will lead, coordinate, promote, manage, and assist departments with all facets of college-level Student Career Development and Services efforts for the College, as well as, advance, steward, recruit and nurture our interactions and collaboration with employers of our students and alumni. In addition, she will coordinate, manage and provide leadership in our extensive Scholarships efforts. A message from Cherise Hall, Director of Financial Affairs: The College of Agriculture has been live with the Concur travel system since May. There remain areas of the system that travelers and delegates have questions about, from booking a trip to creating an expense report. In addition to the Business Office support provided in your unit, we have a group of “Ag Experts”, comprised of Business Office and Academic staff who are available to answer questions and provide additional support. The group can be reached at agtravel@purdue.edu. Those in the Ag Experts group have been very active in Concur as both delegates and approvers and will help not only with questions, but further education of the system. We will continue to listen to your feedback and make process improvements when possible. We are committed to the continued support of faculty and staff in the use of Concur, and will be available through this group to aid the travel needs of the College of Agriculture. Happy Traveling! The Spirit of the Land Grant Mission Award recognizes a faculty member for excellence in integrating and promoting Purdue’s core missions of discovery, engagement, and learning. The award celebrates faculty who have successfully developed an integrated, comprehensive program that benefits agriculture, health and human sciences or veterinary medicine nationally and/or internationally. The application packet should be sent electronically to the Ag Research at Purdue office (agresearch@purdue.edu) by the end of the day on Friday, November 1. Earlier this year, the College of Agriculture received a $1.25 million increase from the Indiana State Legislature Crossroads program to support agricultural research and Extension in Indiana. With this increase in funding, the College has established AgSEED, an internal competitive grant program. This is currently a two-year program focused on applied research/extension and basic research that fit the strategic themes of the College with a focus on plant or animal agriculture and rural development. AgSEED is open to faculty and staff in the Colleges of Agriculture, Health and Human Sciences and Veterinary Medicine. The current funding period is one year and up to $50,000. A few two-year grants may be awarded up to $75,000. Click here for more information on AgSEED proposals and read the Call for Proposals here(link to pdf). Proposals must be submitted to the Pre-Award office by October 1, 2013 at 4pm. We are excited to see what innovative and creative research ideas are ready to be realized! Please direct questions to Meredith Cobb, mcobb2@purdue.edu or 494-3951. Three Agricultural Economics faculty were honored at the American Association of Applied Economics meeting over the summer: Joe Balagtas, along with former Agricultural Economics student M. Cakir, received the Quality of Research Discovery award; Wally Tyner received the AAEA Distinguished Graduate Teaching Award, and Kwamena Quagrainie and co-authors received the CAES Honorable Mention for Publication of Enduring Quality Award. Catherine Hill, Entomology, has been identified as one of three inaugural Showalter Faculty Scholars for 2013. The Showalter Faculty Scholars program is part of the Purdue University Faculty Scholars Program. The funds to support Showalter Faculty Scholars are provided by the Ralph W. and Grace M. Showalter Research Trust. The Showalter Scholars Program was established at Purdue University this year by the Showalter Trust Selection Committee. Scholars are provided $5,000/year for a period of five years from the Showalter Trust, which is matched equally by Purdue University. Selected individuals will be known as Showalter Faculty Scholars. Linda Mason, Entomology, has been selected to receive the 2013 Distinguished Achievement Award in Extension at the Entomological Society of America meeting in Austin in November. She is being recognized for her outstanding contributions to post-harvest pest management where she works with some of the leading food manufacturing and retail companies in the world on issues associated with food protection, food processing facility design, and pest management technology development. Nate Mosier, Agricultural and Biological Engineering, was selected to participate in the National Academy of Engineering’s Frontiers of Engineering Education Symposium to be held October 27-30, 2013 in Irvine, California. The symposium brings together some of the nation’s most engaged and innovative engineering educators in order to recognize, reward, and promote effective, substantive, and inspirational engineering education through a sustained dialogue within the emerging generation of innovative faculty. Haley Oliver, Food Science, has been selected from among more than 200 nominees for recognition by Vance Publishing’s 2013 “40 Under 40 in Agriculture” Awards Program. Vance Publishing’s 40 Under 40 Awards recognize the young leaders who will be instrumental in meeting the challenge of feeding 9 billion people by 2050. All winners will be featured in the November publications as well as online for Drovers/CattleNetwork, PorkNetwork, Ag Professional, Produce Retailer, Citrus & Vegetable, The Packer, Produce Ops, The Grower, Red Book Credit Services, Doane Advisory Services, and Green Book Data Solutions. 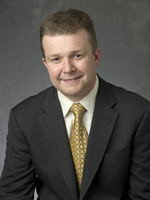 Tom Turpin, Entomology, has been named a 2013 Special Boilermaker. The Special Boilermaker Award was established by the Purdue Alumni Association in 1981 to recognize and honor special people who have contributed significantly to the improvement of the quality of life and the betterment of the educational experience for a substantial number of students. Professor Turpin will officially be recognized as a Special Boilermaker on the football field during the October 12th Nebraska football game. Tom received the award from Vice President Emeritus John Sautter at the Entomology department’s picnic in August. The Purdue Extension Corn and Soybean Field Guide Mobile App has earned an Extension Excellence Award from the American Society of Agronomy. The award will be presented at the ASA annual meeting in November. The Corn and Soybean Field Guide mobile app was developed by the team of Corey Gerber (AGRY),Sylvie Brouder (AGRY), Jim Camberato (AGRY), Shaun Casteel (AGRY), Tom Creswell (BTNY), Jamal Faghihi (ENTM), Brad Joern (AGRY), Bill Johnson (BTNY), Christian Krupke (ENTM), Travis Legleiter (BTNY), Judy Loven (USDA-APHIS Wildlife Services program), Russell Merzdorf (Ag Comm), Bob Nielsen (AGRY), John Obermeyer (ENTM), Gail Ruhl (BTNY), Kevin Leigh Smith (Ag Comm), and Kiersten Wise (BTNY). Andy Linvill, Agronomy, was selected as the inaugural winner of the Service Staff Excellence Award by the Clerical Service Staff Advisory Committee. He is an agronomy technician and works with Mitch Tuinstra in the Small Grains Breeding Program and Field Genetics Program. Andy is being honored for consistently going above and beyond his job requirements, demonstrating exemplary customer service and showing initiative. Purdue's College of Agriculture will receive more than $20 million in university funding for plant sciences research and education to strengthen Purdue's leadership in developing new and novel ways to help feed a rapidly growing world population. The plant sciences initiative, announced by President Mitch Daniels to the University Senate on September 9 and introduced to the University on September 12 during a President's Forum, is among 10 targeted programs designed to enhance research and educational opportunities for students and broaden Purdue's global impact. "One of the critical questions we face is how to feed a growing world population," Daniels said. "This initiative can lead to answers to that question by helping to produce plants that have higher yields and can grow in a variety of environmental conditions." The investment will dramatically expand Purdue's capabilities in plant sciences, helping the university to move discoveries from the laboratory to commercialization or to the farm in innovative ways. Farmers in West and Central African nations could benefit economically, socially and nutritionally using a crop storage system developed by Dr. Larry Murdock, Entomology, and scientists in Cameroon and licensed to Kano-based Lela Agro Industries Nigeria Ltd. The research that led to the Purdue Improved Crop Storage (PICS) system was funded by a USAID program and supported by Purdue's International Programs in Agriculture. Murdock said PICS originally was developed to store cowpeas, or black-eyed peas, which are eaten in storage by cowpea weevils, an invasive insect. The system reduces the amount of damage the weevils inflict upon stored cowpeas. A Purdue online series that began on Sept. 10 gives consumers an up-close look at Indiana wines and shows them what goes into taking the grapes from vine to bottle. The series, called "Through the Grapevine," appears on the website of the Purdue publication Agricultures. It will run each Tuesday. The series is a valuable - even entertaining - resource for anyone interested in learning about Indiana wines and the grapes grown in the state, said Natalie van Hoose, writer and organizer of the series produced by the Purdue Department of Agricultural Communication. "Indiana's wine industry may be small, but it's really quite remarkable," van Hoose said. "This series explores the past, present and future of Indiana wines and gives an inside perspective on this year's grape harvest and winemaking." Every month, the Boilermaker Butcher Block sells between 6,000 and 8,000 pounds of meat. The retail store, located in Smith Hall, opens its doors two afternoons a week to customers looking for quality cuts of meat for their dinner tables. But what happens in that building on the other days of the week brings home the bacon for Indiana consumers and Purdue students. That’s because Smith Hall is the home of the Purdue Meat Science and Research Education Center, known as the Meat Lab. A program of the Department of Animal Sciences, the Purdue Meat Lab provides opportunities for students to learn how to process animals and produce a wholesome, high-quality product for consumers. Jolena Waddell, director of the Meat Lab and assistant professor of animal sciences, explains that students learn the art of tenderizing, cutting and aging meat, as well as the important sanitation and food safety processes required for such work. A Purdue University viticulture specialist says smart planting and a cool summer is leading to another good year for Indiana's wine grapes. Bruce Bordelon says the university has helped growers identify grape varieties that grow well in different regions of the state, which has helped produce more flavorful wines. He says this year's vintage is also benefiting from cool weather, which allows grapes to retain sugar and acid levels. Bordelon believes the industry is benefiting from several factors, including the "buy local" movement. Young people on family-operated grain farms and beginning workers in the commercial grain industry can learn how to stay safe in their work by attending daylong training offered by Purdue University. "Safe Grain Storage and Handling for Youth and Beginning Workers" will be offered Sept. 30 at Brock Manufacturing, Milford, Ind. ; Oct. 2 at the Beck Agricultural Center, West Lafayette, Ind. ; and Oct. 16 at FFA Leadership Center, Trafalgar, Ind. Steve Wettschurack, a Purdue farm rescue instructor, said the goal is to provide basic awareness safety and health training needed by young people interested in pursuing employment in the commercial grain industry or who are already employed on family-operated farms with grain storage operations. He said about one in every five victims of serious accidents at grain storage and handling facilities are people under the age of 21. Students walking through woods in a classroom project no longer have to leaf through pages in a book to figure out what type of tree they're looking at. They now can have the resource of a Purdue Extension mobile app at their fingertips to easily identify the most common trees of the Midwest. The "Fifty Trees of the Midwest" app not only is ideal for students who need to identify trees for schoolwork and other projects; it also will be handy for science teachers, Master Gardeners, foresters, operators of nurseries and others. The mobile-device version of the publication of the same name is backed by the expertise of Purdue Extension forestry specialists. Discovery of the deadly thousand cankers disease in walnut trees in a southwest Ohio county should prompt Indiana residents to be on the lookout for symptoms in their walnut trees, a Purdue University Forestry and Natural Resource specialist says. No cases of the tree disease have been reported in Indiana, but property owners should be vigilant for signs of it, said Elizabeth Jackson, executive director of the National Walnut Council and the Indiana Forestry and Woodland Owners Association, both based at Purdue. Thousand cankers disease, which has no known treatment yet, is a result of a walnut twig beetle carrying the fungus Geosmitha morbida. The disease had been confirmed in several western states during the last 10 years and in recent years was spotted in Tennessee, Pennsylvania and Virginia. The Southern Indiana Purdue Agricultural Center (SIPAC) in Dubois County will host a field day Sept. 28 catering to both families and agricultural producers. The daylong workshop is split into two sections, with family-oriented activities planned in the morning and traditional, production agriculture-focused Extension talks in the afternoon. "It's an opportunity for folks who don't necessarily come out here to visit the farm, and the education topics in the afternoon will help producers in their daily businesses," said Jason Tower, SIPAC superintendent. All activities will take place at the center at 11371 E. Purdue Farm Road, Dubois. More Purdue students will have the opportunity to study abroad thanks to the university's new plan to dramatically increase student participation and make it as close to cost neutral as possible with a new scholarship fund. The goal is for a third of all undergraduate students to participate in an international study, internship or research credit-bearing experience before graduation. Currently, about 19 percent of students have participated in a study abroad program. This study abroad plan is among several initiatives that have been developed from across the university and were announced at Sept. 9 Faculty Senate meeting. More and more sophisticated phishing attempts have led to an increase in the number of individuals at Purdue falling victim to email scams. Purdue is able to flag compromised accounts using automatic systems to detect when large volumes of identical emails (1,000 or more recipients in 15 minutes) are sent out. During a three-week timespan in July, those systems stopped more than 30,000 SPAM messages from being delivered to more than a million people, said Mike Rubesch, associate vice president of IT infrastructure services. But not all attacks can be prevented. A recent survey released by Halon, an IT security and infrastructure company, found that nearly 9 percent of Americans who received emails containing a virus, spyware or malware opened the attachment and infected their computer. Here are seven questions to ask when browsing your inbox, which serve as general guidelines for identifying phishing attempts. DiaGrid hub puts a graphical Web front end on a growing array of research software like the BLAST, Gromacs, R and the Soil and Water Assessment Tool (SWAT) and offers the power of thousands of processors on the back end — all at no cost to Purdue researchers and their students. A seminar from 1-2 p.m. Tuesday, Sept. 24, in Stewart Center, Room 311, will be an introduction to DiaGrid and its capabilities.